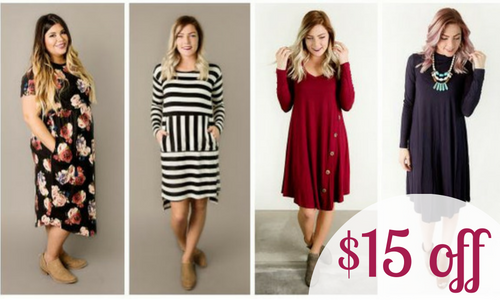 Today only, you can get $15 off select dresses when you use this Cents of Style coupon code. Plus, you will get FREE shipping on any size order! These are selling out fast so grab what you want while you can.